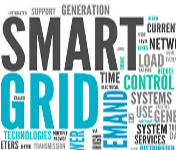 Enerdata has partnered with The Clean Energy Solutions Center to offer you free online training on key regulatory issues associated with the deployment of smart grids. Drawing on case studies from Europe, this training will delve into the regulatory regimes, anticipated costs and benefits of smart grids, best practices that foster grid integration, and regulatory frameworks that support (or hinder) smart grids. Nicolas is an experienced consultant and project manager with close to 20 years of experience in strategic analysis and market research. He has progressively specialised in energy markets in particular electricity, natural gas and renewables and has worked both as a manager in the power and gas industry (Essent, Netherlands) and as a senior consultant at various research and advisory firms including Enerdata (France) and IHS Global Insight (UK). He is now an independent energy consultant and runs his own consulting firm. Can't make it to the webinar? Enerdata can answer your energy policy queries for free through The Clean Energy Solutions Center; a clearinghouse of global policy best practices, data reports and analysis tools.To benefit connect to the CESC website and Ask an Expert.